When Janet Leigh (Scarlett Johansson) meets Alfred Hitchcock to discuss the role of Marion Crane in his upcoming film Psycho (1960), she focuses on the double identity of the character (a Phoenix secretary who steals $40,000 from her employer’s client). 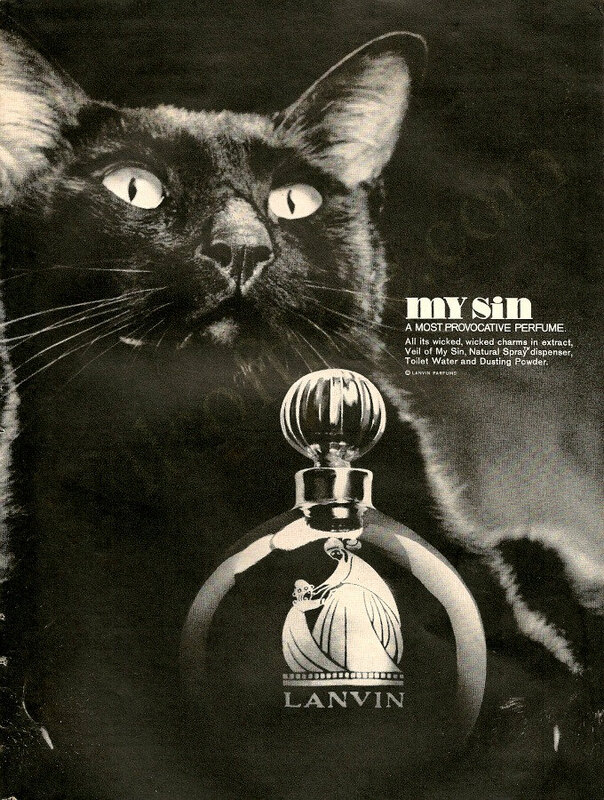 She introduces this concept through perfumes: Marion is someone who wears an inoffensive cologne like Lenthéric Tweed in the office, but turns to something completely different when she’s with her lover Sam Loomis: her reckless and seductive self wears My Sin by Lanvin. 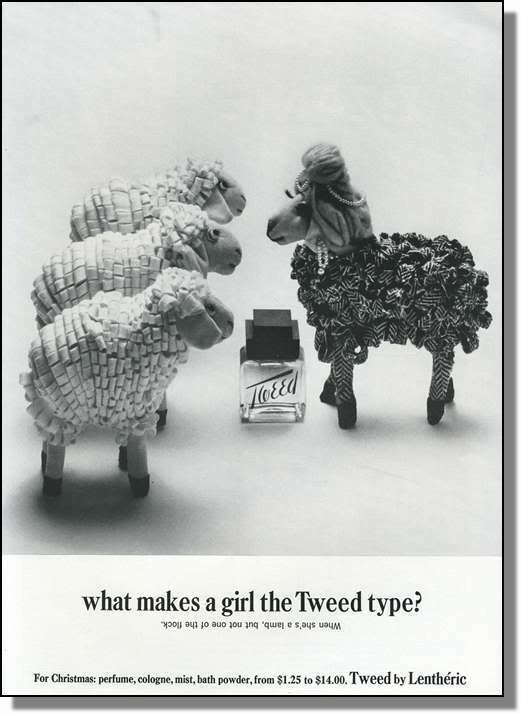 Tweed, launched in 1933, is a woody aromatic perfume with light spicy notes. My Sin, originally called Mon Péché, was created by Madame Zed in 1924; it’s a scent with civet, musk and aldehydes as dominant notes. That Tweed ad tho. 😀 Love it!